A dark and stormy mid-November night and the 8:33 bus was making the final run of the night from Estings to Raybourne. Nobody in their right mind would be on the open top deck, but rain or shine, one passenger has always chosen to ride upstairs, and that night was no exception. When the bus comes to the passenger’s usual stop, he does not come downstairs. Whitehead, the conductor, braves the rain to see what’s wrong, only for the passenger to topple from their seat – dead. Whitehead and the passengers had the stairs to the top deck in full view for the entirety of the journey. Nobody went up or came down the stairs. So how exactly was the passenger – whoever he may be – strangled? This is the eighth Anthony Bathurst mystery from Brian Flynn – you can find my full list of reviews here. At this point in the series, Bathurst has something of a reputation for solving cases – apparently the police at the time had no qualms about letting the newspapers know that a gifted amateur had solved a tricky case for them, as people seem to recognise his name as a crime-solver – one character is referred to as having read on or two of Bathurst’s case while at Oxford. 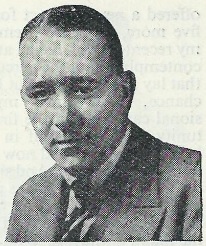 He gets involved in the case when he pops into a church, attracted by the vicar’s organ practice, and after indulging in a customary bout of showing how clever he is – naming the hymns from the numbers on the board, despite not being a churchgoer – he becomes good friends with the good Reverend Parry-Probyn. It follows that he is friends with the medical examiner on the murder case, and, along with Michael, the Reverend’s son, being a murder mystery fan, this leads to Bathurst joining the investigation. Inspector Curgenven – Andrew MacMorran, Bathurst’s regular sparring partner in the later books still hasn’t arrived on the scene yet, despite his name-check in The Murders Near Mapelton – does at least attempt to put Bathurst in his place in the initial interrogations, but soon, Bathurst is running the show, building up a small band of investigators to help with his enquiries. The police are soon at Bathurst’s beck and call, as he sets about working out who the victim was, who killed them and how the murder was committed. I have to say that why the crime was committed that way is somewhat glossed over. A rationale is given, but there must have been easier ways to achieve the desired goal that wouldn’t have attracted the attention of Anthony Lotherington Bathurst. Is this the only murder on a bus in the Golden Age? Obviously trains occur all the time – Dame Agatha used them in Murder On The Orient Express, The Mystery Of The Blue Train and 4:50 From Paddington, John Rhode uses them as both locations for murder – Death On The Boat-Train and Death In The Tunnel – and as murder weapons – Tragedy On The Line and Dead On The Track – and there are many more examples. But the old-fashioned train, with its separate compartments, lends itself to cunning murders. Other forms of transport are rarer, as the writer needs to find a way to kill without anyone noticing. The only example that I can think of where an aeroplane is used is Death In The Clouds, but they weren’t that common in the Golden Age era. The closest I can think of to a bus murder is The Tragedy Of X by Ellery Queen/Barnaby Ross, where a man is murdered on a crowded tram, using the fact that it is so crowded to have a number of people who could have been close enough to him. But obviously this is the exact opposite – nobody could have approached the victim! It is worth mentioning the slightly odd narrative structure of this tale. 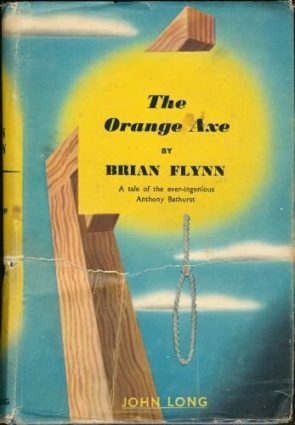 For the second time, following The Billiard Room Mystery, Flynn employ a narrator, the aforementioned Reverend, but after the first few chapters, it becomes a bit odd. There are some chapters, setting up some relevant events for the reader ahead of Bathurst discovering them, that are presented away in third person, which is fair enough – the opening few chapters are the same – but there are some narrated chapters that start “I wasn’t there, but Michael told me about it”. It looks a bit like that Flynn had the idea of writing it from the vicar’s point of view but then realised that it didn’t make sense for him to be there for some essential scenes. It’s not a criticism, per se, just a bit odd. Overall, this is a nicely complex yet clear plot, with some good twists and turns, with the overall picture being an imaginative one. The reader may guess some parts of it, but there are clues there as to what’s going on, and it’s written with Flynn’s light touch making it, as ever, a very enjoyable read, from the opening sections on the bus to the exciting and somewhat unlikely finale. Yes, some characters suffer from the mystery-novel syndrome of not doing the obvious thing due to it making a better story – Flynn is hardly alone in committing this sin – but this is a clever and fun read. Who could ask for more? Is this the only murder on a bus in the Golden Age? Could be, though it has company in the “impossible death on moving transport” stakes in the form of Murder on Wheels (1932) by Stuart Palmer, in which a man is found strangled having been driving his car alone. Since it is an “open top deck”. it may not be that difficult ! By the way (out of curiosity), how much did you pay for the book ? Less than a tenner. I was lucky. There is a golden age novel The Murder On The Bus by Cecil Freeman Gregg (1930) which features a murder atop a London double-decker bus. The only affordable copy is a dodgy ebook from NightHawk Publications, a company who in the past have flogged ebook versions of in copyright books such as John Rhode titles from various sources. Not going near them, but I will keep an eye out for a real copy. I love that cover, by the way! I’ll keep an eye out for both of them. Thanks. Although there was no murders actually on the bus itself, wasn’t Agatha Christie’s Nemesis set around a bus tour? Admittedly this is late Christie, so not actually written in the Golden Age she might be counted as a Golden Age style author. I suppose unlike a train a bus is quite a bit more of a restricted space and effectively the murder would be that much more difficult to stage. Additionally, and definitely not Golden Age, the latest series of Death in Paradise had a murder set on a bus. Intriguing setup for a crime. Afraid I can’t think of any other bus murders, but I am very excited to read your thoughts on the upcoming Gilbert title. Should be up tomorrow, nearly finished it. It’s rather good, isn’t it? I have a copy of this one! This will probably be my first Flynn. I wonder if anyone’s ever thought of an impossible crime with a victim who was in a balloon? Sorry – that should have been 12.30, not 4.50! I can only think of two examples, which aren’t exactly vintage mysteries, but they were written in the style and traditions of the Golden Age. A first season episode of Murder, She Wrote, entitled “Murder Takes the Bus,” was obviously intended to be an episode for the second season of the canceled Ellery Queen TV-series. The plot and solution were far more complex and tricky than your average MSW episodes from later seasons. Last month, I reviewed a Dutch short story by Anne van Doorn, “De bus die de mist inging” (“The Bus That Went Into the Fog”), which also deals with an impossible strangling on a bus. And like Jonathan said, there are a number of airplane mysteries from the Golden Age. Stuart Palmer’s The Puzzle of the Pepper Tree is a good example with an impossible poisoning aboard a seaplane, but the one I would recommend is Lynton Blow’s little-known The “Moth” Murder. A classic puzzler about a baffling murder aboard a burning biplane. So glad you enjoyed this. It’s a corker! This mystery novel redeemed Flynn in my eyes. I’m ready to read the rest of my Flynn novels now after being tempted to dump them all at a thrift store. The Crime with Ten Solutions by Patrick Leyton (reviewed on my blog) is about a bus crash during a snowstorm that leaves its passengers stranded at a nearby inn. Several murders a occur afterward. Guess that one doesn’t really count. Also Fire Will Freeze by Margaret Millar (194 ) takes place on a bus that breaks down, also in a snowstorm! Can’t remember if the murder happens on the bus. “Almost dumped them at a thrift store…” Right, now my heart attack has stopped (and I am curious which ones you have – are they all US editions? ), thanks for the tips on Bus mysteries… really not sure this is a new thread I want to start, but you never know. I have ordered one suggestion to take a look at. I own almost all US editions of Flynn’s books. Only two UK editions out of my small lot: The Sharp Quillet and his juvenile cricket mystery Tragedy at Trinket, both have DJs. The others are all US and none have DJs: Murder En Route, The Crime at the Crossways, The Case of the Black 22, The Mystery of the Peacock’s Eye, The Billiard Room Mystery. I started BILLIARD ROOM about five years ago before your obsession began, but never finished it. I thought Bathurst was a pedantic twit in the opening chapter and kept rolling my eyes and closed the book in search of something else. I’ll brave that one again later this year along with all the others. Not sure why there are so many editions of a The Sharp Quillet (often with DJ) knocking around. That, and Exit, Sir John are always cropping up over here for not extortionate prices. 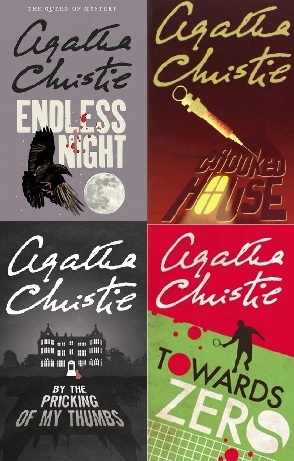 With regards US editions, I think there’s also The Murders Near Mapleton, The Spiked Lion, The Ladder Of Death aka The Case Of The Purple Calf, and, I think, The Somerset Murders aka Fear and Trembling. That last one is a guess based on the alternate title… Invisible Death might have had a US release as well, I’ll have to check that one. In Fire Will Freeze, the murders take place not in the bus but in the house where they take shelter.